These coins are amazeing! I got ot one grand mix up of coins. 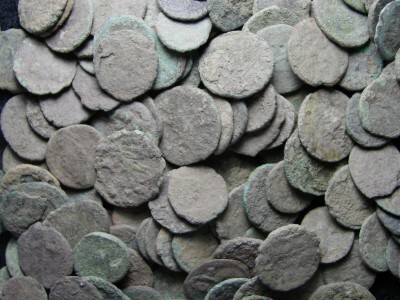 A few large, Few crusty, A very few fe..
Nice mix of small, medium and a few large coins. Several nice bronze coins with minor cracks or chip..